There are different National Minimum Wage (NMW) rates depending on the worker’s age and whether they are an apprentice. The National Living Wage (NLW) is the highest of the rates and it is simply the term that applies to workers aged 25 and over. In this guide the phrase ‘minimum wage’ is used as a catch all to include both the National Minimum Wage and the National Living Wage. WHO IS RESPONSIBLE FOR PAYING THE NATIONAL MINIMUM WAGE? The law says that your employer must pay you the National Minimum Wage and National Living Wage at the right rate. It’s not as simple as it sounds. There are a number of pitfalls that employers can fall foul of and the costs of getting it wrong are high. Whenever underpayment occurs, in addition to having to pay the affected workers the arrears due, there is also a penalty for the employer to pay which is up to 200% of the arrears owed. Furthermore if the arrears are in excess of £100 then the employer will be publicly named and shamed in a government press release. It is important that your employer does not leave this to their accountant, as it is their responsibility and it is the employer that will be liable. labelling individuals as ‘interns’ (or using other such terminology) in order to avoid the minimum wage having to be paid. Almost all ‘workers’ are entitled to the minimum wage but self-employed people running a business on their own account aren’t. Some employers struggle to correctly decide if an individual is a ‘worker’ or not for the purposes of the minimum wage. they have a contract or other arrangement with the business which entitles them to a reward. The contract doesn’t have to be written – it can be oral or implied. the reward is a monetary payment or benefit in kind and is not simply the reimbursement of genuine ‘out-of-pocket’ expenses. The promise of a contract or future work could be considered a benefit in kind. they have to turn up for work even if they don't wish to. 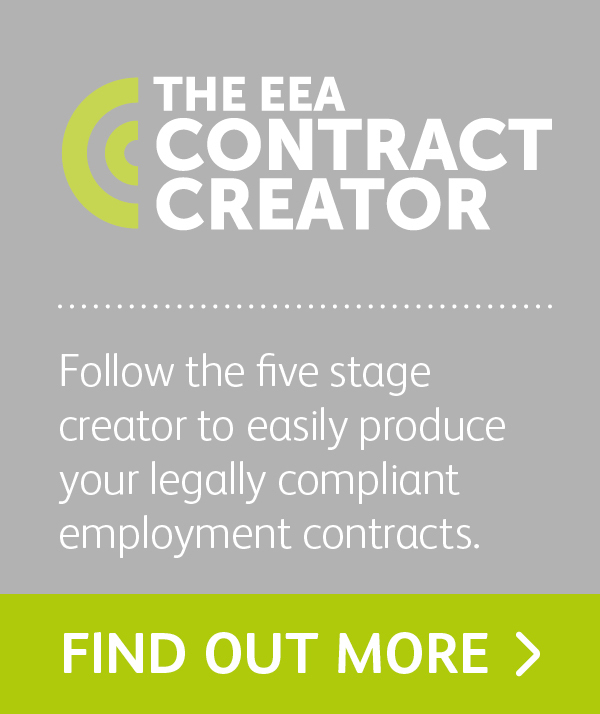 the employer has to provide work for them to do for the duration of the contract or arrangement. they have to perform the work or services personally and only have a limited right to send a substitute. they are not genuinely self-employed. Calling themselves ‘self-employed’ or being referred to as ‘self-employed’ in agreements, doesn’t necessarily mean that they are not entitled to the minimum wage. Similarly, being registered as self-employed for tax purposes does not necessarily make them self-employed for minimum wage purposes. The term ‘intern’ /'working pupil' has no legal status under minimum wage law. Entitlement to the minimum wage does not depend on what someone is called, the type of work they do or how the work is described (such as ‘unpaid’ or ‘expenses only’). What matters is whether the agreement or arrangement they have with the employer, makes them a worker for minimum wage purposes. Some forms of work experience (sometimes called placements or internships) may be referred to as ‘unpaid work’ or ‘expenses only’, where someone gives their services free of charge in order to develop or maintain their skills. Employers offering such positions should check if the person is a volunteer for minimum wage purposes. If the person is not a genuine volunteer, then they must be paid at least the minimum wage. failure to implement the annual rate increases for National Minimum Wage which take place each year in April. By doing nothing an employer can lapse into non-compliance. employers missing the key birthdays [18, 21 and 25 years old] when a worker moves from one age band to another but fails to increase their pay accordingly. apprentice rate errors, particularly in relation to the fact that once the first year of an apprenticeship has been a completed then that individual should be paid at the higher appropriate age related rate if they are aged 19 years or over. Deductions or payments for items or expenses that are connected with the job. This could include, for example, safety clothing, uniforms, tools or other equipment needed for the job. Deductions for the employer’s own use or benefit, i.e., a deduction for meals or transport provided by your employer. It does not matter whether the worker can choose to buy the goods or services. Deductions or payments by the worker for accommodation. If a worker is provided accommodation there may be an effect on minimum wage pay if the amount charged for the accommodation is over a certain level. Travelling time. Travelling in connection with a worker’s job is working time and should be included in minimum wage calculations accordingly. This includes travelling to competitions or training, but not between home and a permanent place of work. Training time. Time spent on training counts as working time. Unpaid time. This can often occur at the “bookends” of a worker’s shift when they may have to arrive early or stay late, for example the groom might have to arrive 15 minutes early before their shift starts as travelling to a competition, or the yard manager might have to stay behind an additional 20 minutes to wait for the farrier to finish. Down time at the employers disposal. 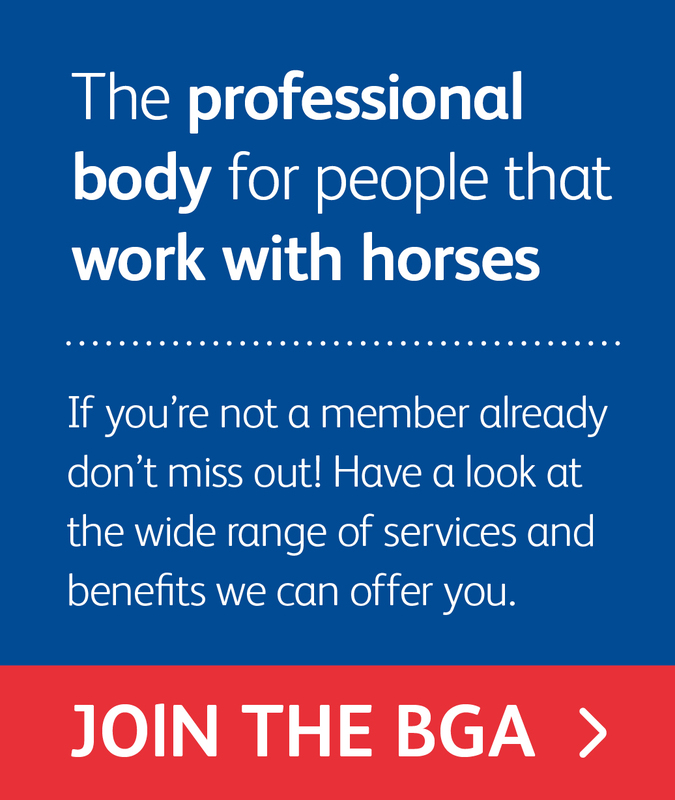 For example ‘on standby’ near the workplace, not working because of the horses day off, or lorry breakdown but kept at the workplace, or waiting to receive a yard delivery. Some elements of pay don’t count towards minimum wage. Sometimes employers include these elements so it appears that a worker is being paid the minimum wage when in actual fact they are not. Tips and gratuities from customers don’t count towards minimum wage pay. This is regardless of whether they are paid through an employer’s payroll or are given direct to workers by customers/owners. However, the premium element of pay – that is, the amount the higher pay rate exceeds the worker’s basic rate by – does not count towards minimum wage pay. the presence of low paid workers as it’s workers who are paid at, or even slightly above, minimum wage rates that are most at risk of underpayment. the use of trial periods as possible unpaid working time. unpaid working time resulting from long working hours. wage deductions or payments that may reduce a worker’s pay for minimum wage purposes. unpaid traineeships or working pupil arrangements that may actually be worker/employer relationships. provision of living accommodation and the correct application of the accommodation offset. HM Revenue & Customs (HMRC) has investigated more than 70,000 employers for National Minimum Wage issues since the legislation was introduced and has the right to carry out checks at any time and ask to see any relevant records. Successful enforcement of the National Minimum Wage and National Living Wage by HMRC helps to level the playing field, making sure unscrupulous employers aren’t advantaged. WHAT ARE THE CURRENT 2019/20 NATIONAL MINIMUM WAGE RATES? These rates change on the 1st April each year so remember to check that you are applying the most up to date rates. View the current rates here. WHERE CAN I FIND MORE INFORMATION AND GET EXPERT ADVICE? Gov.uk provides an overview of minimum wage and official guidance to help employers meet minimum wage legislation is available here. If you would like to talk to somebody, Acas (Advisory, Conciliation and Arbitration Service) provide a free and impartial helpline for National Minimum Wage queries. WHAT SHOULD I DO IF I’M BEING PAID AT THE WRONG RATE? Your employer should put it right by identifying any arrears owed and, pay those arrears back to the workers and pay the correct rates going forward. If you need to report a current or previous employer for not paying you the National Minimum Wage you can do so here. Complaints go direct to HMRC who will consider whether to investigate the employer in question based on what you tell them. Complaints are treated as confidential. A failure to act by an employer runs the risk that one of their employees, or ex- employees, will report to HMRC. They will then be considered for investigation, which can result in penalties of up to £20,000 per underpaid worker. They may also be publicly named and shamed, which could have a significant impact on the reputation of their business. 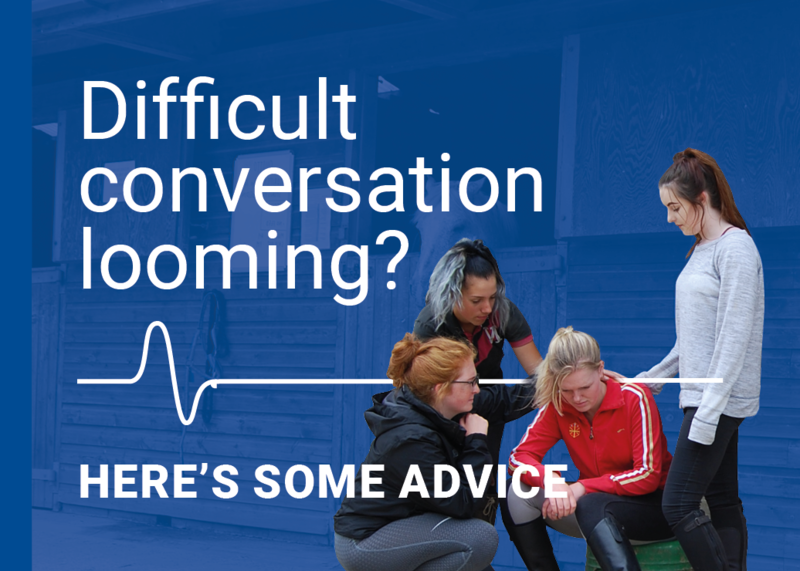 IT’S QUITE NORMAL FOR GROOMS TO WORK LONG HOURS, IT’S THE NATURE OF THE JOB – IT’S A PASSION. IS MINIMUM WAGE DUE FOR ALL THOSE HOURS WORKED? ANSWER : All working time must be paid for by the employer at the minimum wage rate or above. For minimum wage purposes, there are four different types of work: time work, salaried hours work, output work and unmeasured work. DOES TIME SPENT TRAVELLING TO A COMPETITION COUNT AS WORKING TIME? ANSWER : Yes, depending where the journey starts. For example, James works as a groom at XYZ Stables and this is his usual place of work. James’ employer often requires him to attend eventing competitions at the weekend and pays James for the time he works at these competitions but not for the time spent travelling to and from them. James travels to and from these competitions with his employer in their horsebox, he starts and finishes his journey at the stables. If James were to travel directly from his home to the competition, this would not be working/travelling time because he would be travelling from his home to work (the place of work does not have to be a ‘usual’ place of work, it is where the employer expects him to be in order to start work). However in this instance, and because James is travelling to XYZ Stables first (his usual place of work) in order to ride in his employers horsebox to the competitions, then the time spent travelling from the stables to the competitions (and back) would be classed as working time. For a worker performing all types of work, the time when a worker is travelling for the purpose of working (i.e. in connection with the employment – travelling to competition or training etc.) is treated as working time. For National Minimum Wage purposes, the travelling between a worker’s place of residence (including temporary residence) and the place of their work is not considered as travelling for the purposes of work. Any time spent on such “home to work” travelling is not considered as working time and not treated as time worked. Travelling time should not be adjusted on theories of alternate modes of transport or different routes to what actually occurred. Neither should travelling time be calculated on the basis of optimal travelling conditions, such as computer-calculated planned routes, where such routes do not represent the actual circumstances of the travelling - weather conditions, traffic delays etc. Actual hours must be recorded of the journey times. Any time where a worker interrupts their travelling in order take a break during the course of their journey is not travelling time nor treated as working time. However, it should be noted that periods of waiting during travelling, such as queuing traffic, waiting for transport connections, etc. are likely to be treated as time worked and not automatically assumed to be time when a break is being taken. The worker should be paid at least the minimum wage accordingly. CAN AN EMPLOYER MAKE WAGE DEDUCTIONS FOR THE STABLING COSTS OF A WORKER’S HORSE? ANSWER: An employer can make deductions but they mustn’t result in a worker’s pay falling below the National Minimum Wage. For example, Eric is a groom who works as an apprentice at XYZ Eventing. He stables his own horse at his employer’s yard under an arrangement at a cheaper rate than he could get independently at another yard. His employer charges him £30 per week for stabling and feed and this is deducted from his pay each week. As an apprentice Eric earns the apprentice minimum wage rate of £3.90 an hour for 30 hours a week (£117). The weekly £30 deduction reduces Eric’s pay for National Minimum Wage purposes because it is being made for the use and benefit of the employer. Eric’s pay for minimum wage purposes has therefore been reduced down to £2.23 an hour (£67 divided by 30 hours), for minimum wage purposes after that deduction has been taken into account. He is being underpaid and his employer owes him pay arrears. If Eric was to make payment to his employer for the employer provided livery costs, such as by cheque or standing order, then the payment will NOT reduce national minimum wage pay - provided it is not made in order to comply with a contractual requirement or any other requirement imposed upon him by his employer. In these circumstances Eric would simply be purchasing goods and services from his employer after he has received his national minimum wage pay. An invoice and/or receipt is recommended. APPRENTICES ALWAYS GET THE APPRENTICE RATE OF NATIONAL MINIMUM WAGE – IT’S AS SIMPLE AS THAT, ISN’T IT? ANSWER: No, there are a number of conditions attached to being able to pay the apprentice rate. The apprentice is aged 19 or over and within their first year of the apprenticeship. Once an apprentice aged 19 or over has completed the first year of the apprenticeship they must be paid the relevant higher National Minimum Wage rate for their age group. Ultimately it will be a matter for the courts or tribunals to decide whether or not a contract is an apprenticeship contract in the event of a dispute. All apprenticeships must incorporate an element of structured training. This might include work- based training, a course of study or a combination of the two. A worker whose sole purpose of their training is only to perform a specific job is unlikely to be considered an apprentice. Remember apprentices must be paid at least the apprentice minimum wage for the time they spend training or studying as part of their apprenticeship, as well as the time they spend working. My LIVERY YARD OPERATES WITH WORKING PUPILS/VOLUNTEERS who are not paid. HOW is it DECIDEd IF NATIONAL MINIMUM WAGE APPLIES? ANSWER: If an individual is classified as a ‘worker’ for the purposes of National Minimum Wage then they are entitled to the minimum wage, with some exceptions. They have a contract or other arrangement with the organisation which entitles them to a reward. The contract does not have to be written: it may be implied (i.e. reflecting what happens in practice in the workplace) or oral (i.e. a spoken agreement of work in exchange for rewards). The reward is a monetary payment (i.e. cash or other form of financial payment) or benefit in kind and is not simply the reimbursement of genuine ‘out-of-pocket’ expenses. Whilst a reward would typically involve the employer incurring a cost, the promise of a contract or future work could be considered a benefit in kind. In deciding if someone had to turn up for work a tribunal would look at factors such as whether the business can impose sanctions on them for failing to work, the business grievance and disciplinary procedures, and whether the employee or the business are able to terminate the contract or arrangement by giving notice. The employer has to provide work to do for the duration of the contract or arrangement (this would be the case even if they were doing ‘casual work’ or had a ‘zero hours’ contract). They have to perform the work or services personally and only have a limited right to send a substitute. Being allowed and able to delegate to another member of staff does not amount to substitution or subcontracting out the work for National Minimum Wage purposes. They are not genuinely self-employed. Someone calling them self ‘self-employed’ or being referred to as ‘self-employed’ in agreements, does not necessarily mean that they are not entitled to the National Minimum Wage. Similarly, being registered as self-employed for tax purposes does not necessarily make them self-employed for National Minimum Wage purposes. They are a worker who is exempt from the National Minimum Wage by law. A limited number of groups are classified as workers but are exempt from the NMW under NMW law. This includes students undertaking work experience for no more than one year as a required part of a UK higher or further education course, some participants in specified government work or training schemes and voluntary workers. Further details on exempt types of workers is available here. b. does not have to turn up for work if they don't want to. It is irrelevant whether the work is performed for altruistic or other reasons, e.g. to enhance the individuals CV. Further information on volunteers available here. A worker’s entitlement to the National Minimum Wage – and the employer’s liability to pay it – does not depend on the job title but on the contract or arrangement in place with the business. I HAVE ACCOMMODATION with my job, HOW DOES THAT AFFECT MINIMUM WAGE? ANSWER: Accommodation provided by an employer can be taken into account when calculating the National Minimum Wage. No other kind of company benefit (such as food, a car, childcare vouchers) counts towards the minimum wage. Accommodation provided to you is the only benefit in kind that can count towards a worker's minimum wage pay. In all these cases, the rules allow a notional daily amount called the accommodation offset to count towards minimum wage pay. View the current offset rate here. When your employer charges you for the accommodation, either by making a deduction from your pay or by accepting a payment from you, the worker's minimum wage pay will only be affected more than the amount of the accommodation offset is charged. The amount of the charge over and above the level of the offset will reduce the worker's pay for minimum wage purposes. The accommodation offset is intended to discourage employers from recouping the minimum wage paid to a worker by levying excessive accommodation charges. It doesn't seek to reflect the actual cost to employer or the actual value of renting accommodation for the worker. Any additional charges the worker is obliged to pay as a condition of being provided with accommodation, including amounts for gas, electricity, water and provision of furniture, must be regarded as a charge paid in respect of the provision of accommodation. Such charges should be taken into account when determining the total charge for accommodation, and when calculating the minimum wage under the accommodation offset rules. The effect of accommodation rates on the minimum wage depends on how much an employer charges for accommodation. It doesn’t matter if the cost of the accommodation is taken from the worker’s wages beforehand or if the worker pays the cost after they get their wages. Worked examples of accommodation being provided above and below the maximum rate and for free are available here. This document has been produced for guidance purposes only and should not be used as a substitute for taking independent legal advice on specific issues or individual cases.